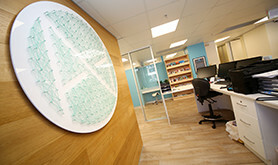 The staff at Haan Health Medical Centre work on a single level in a hierarchy. Everyone, including the Admin, Nurses, Doctors and Allied Health are on the same level, the only person ‘above’ them is the manager to oversee the operation. We have an excellent team of Medical Administration and Nurses. Everyone is thorough, detailed and knowledgeable in their role. Everyone completes an annual CPR training and is certified. While studying my Computer Science degree in Melbourne Part-time, I also worked as a Medical Receptionist and Practice Manager at my brothers Medical Centre. 20 years later after working around the globe and also completing a management degree – Here I am. After completing Computer Science in 1995 I had the opportunity to work in Sydney, Melbourne, The Netherlands and London with short assignments around Europe, U.S.A. and SE Asia. In 2007 I completed my Executive MBA from Henley Business School in London while working for an Investment Management firm. In late 2009 I returned back to Australia with my family and bought the Niecon Plaza Medical Centre with my wife, Dr. Sonu Haikerwal in 2010. This was an opportunity for Sonu to implement her thorough medicine ideologies and it gave me a chance to use all of my Executive M.B.A. training. The Haan Health Medical Centre was conceptualised in mid 2013 after we saw a potential location and after a mammoth task with multiple obstacles and lots of opposition we were able to start our dream on time – 5th January 2015. There are so many people I need to thank for helping us with this journey and I am delighted that all of you were able to attend our opening ceremony on Sunday 4th January 2015. My name is Felicity and I have been working at Haan Health from the time Raj and Dr. Sonu Haikerwal took over the Niecon Plaza practice. 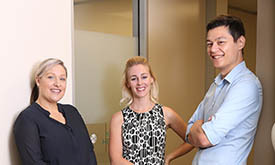 I have over 12 years experience in Medical Reception / Administration and previously worked in a similar position in NSW before moving to the Gold Coast. I enjoy keeping up with all aspects of the practice and in 2014 Raj and Dr. Sonu sponsored me for some courses which I completed: Certificate IV in Medical Practice Assisting; and the Certificate IV in Health Administration. I was also sponsored for a course in Grief Counselling Training with a focus on Children through Lifeline. Having a young son has encouraged me to keep fit through Tennis and Soccer, with this year being my first season with a local all-female team. But my passion is having an interest in people and their personal stories. By listening to patients, I have learned so much about their journeys. The whole team is a family and share a common interest in improving the well being of all patients through innovative and holistic care. I am proud to be a part of Haan Health and excited to grow with it into the future. I love my job, and appreciate the patients who so generously allow me to share their journey with them. My name is Wendy, one of the five wonderful receptionists’ at HAAN Health Medical Centre. I am very blessed to have worked with some great people over my 25 years in this wonderful crazy busy job, which I love and enjoy every day. And these people at this fabulous centre are no exception. Our Doctors are the best in the business their caring professionalism is fantastic. Our nurses are so friendly and hard working, caring to all our patients. As for our wonderful receptionist’s Felicity, Diane and myself who have been around for a while now. Experience Plus. Morgan & Ruth are our newbie’s, learning real quick in the chaos ( organised chaos of course ) they have settled in really well, I am very fortunate to work with these great dedicated hard working women. We get to enjoy a laugh everyday with each other and the patients, which we all think is very important, to try and brighten their day and ours, especially if they are not feeling very well. About myself, I enjoy travel, renovating and decorating when I’m not at work, and walking the fabulous beaches that we are blessed with in this great city of ours. I hope to continue to give you friendly and consistent service when you visit our beautiful new premises at Victoria Square. See you soon. 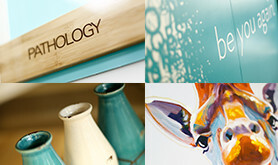 Hi, I’m Terina and I’m the bubbly and overly talkative receptionist at HAAN Health Broadbeach. Having worked at HAAN for over a year now, I’ve met so many lovely and inspiring patients already and I am very lucky to be a part of their journeys. I am so proud to work at HAAN, as all of our doctors, nurses and staff are incredibly caring and thorough. It’s impossible to get anything but the best possible care here- it’s just how we do it. A little bit about me- I’ve completed a Bachelor in Psychological Science, as I’ve always been passionate in helping others. I am currently furthering my education by focusing exclusively on drug, alcohol and addiction studies. In my spare time I enjoy reading, binge-watching TV series, travelling and listening to all kinds of music. If you have any music suggestions, I’d love to hear them. I look forward to seeing you at your next appointment, come and say hi! Hi, my name is Rachael and I am one of the Medical Receptionists here at Haan Health Broadbeach. 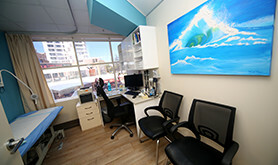 I have a previous seven years experience in General Practice, Allied Health and some Cosmetics. I love the fast paced nature of working in a busy health clinic environment and interacting with patients. Haan Health is one of the most welcoming and supportive workplaces that I have been lucky to be a part of. The doctors, nursing and administration staff all work together with the same passion and goal- the wellbeing and holistic care of the patient. I feel very blessed and am very proud to be part of the Haan Health family. I look forward to seeing you on your next visit to Haan Health! 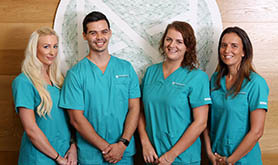 My name is Lachlan, I’ve been a Medical Receptionist for a little over two years now, serving many different patients from all walks of life and various locations across Queensland, including Toowoomba and Hope Island. 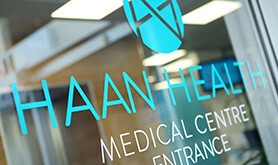 I joined the Haan Health Family a few months ago after relocating back to the Gold Coast from the small country town of Ilfracombe, just east of Longreach. Having previously worked in the tourism industry with the Qantas Founders Museum, I was quite keen to continue working in a field that had a high level of personal interaction with those who pass through the front doors. Working at Haan Health, I’ve certainly had the opportunity to get to know many of the regular patients, which is perfect for me, I love meeting new people, and now I get to do so every day. 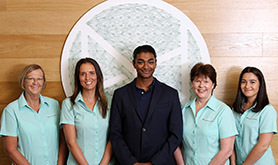 My role at HAAN is reception in the upper Coomera practice. What drew me to working in a Medical Practice is my natural empathy, passion to help others and love of people from all walks of life. The best part of my job is the patients I meet and the journeys I get to be apart off. I have only worked with HAAN for a short time but the amount of heart and genuine care each staff member has for the patients is very unique and a pleasure to be apart off. I have two children I never stop bragging about and I like to spend my free time exploring parks, beaches, waterfalls and all the beautiful things earth has to offer with them. 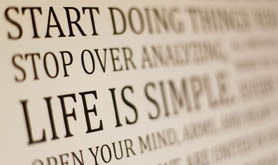 I enjoy all kinds of art and creativity.